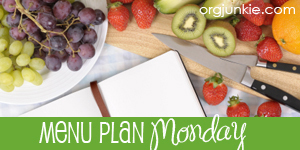 Last week, we tried some great new recipes! A wild rice and butternut squash casserole marked our first fall savory dish, and a lovely apple braid our first dessert. Our first batch of maple apple sauté topped our waffle breakfast. Fall is here! And, we also enjoyed an old favorite: Very Veggie Chili Cheese Bread. Yum-o.